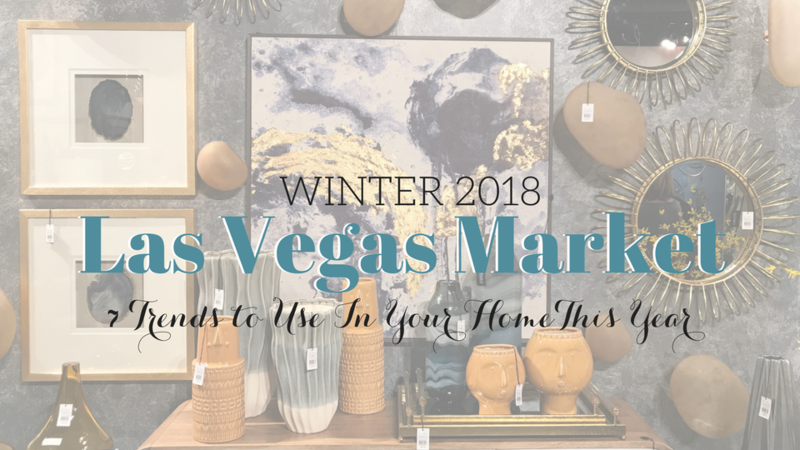 With more than 4,200 lines of home decor + gifts, including furniture, lighting, bedding and accessories Interior Designers and Home Stagers span the 40 floors of even space at Las Vegas Winter Market. 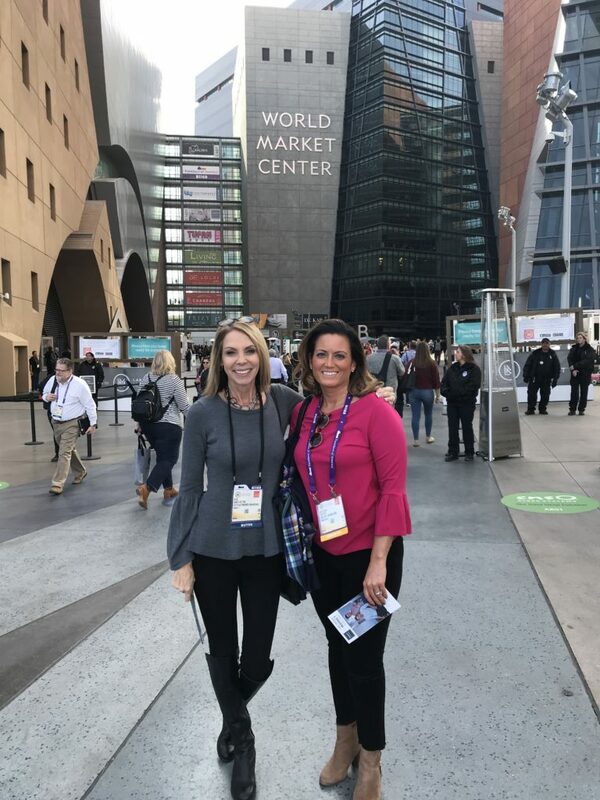 Janice Sutton from 1st Stage Property Transformations in Southern California tours market with me. Trade shows provide the most comprehensive forward look at what is fresh and new at special prices. 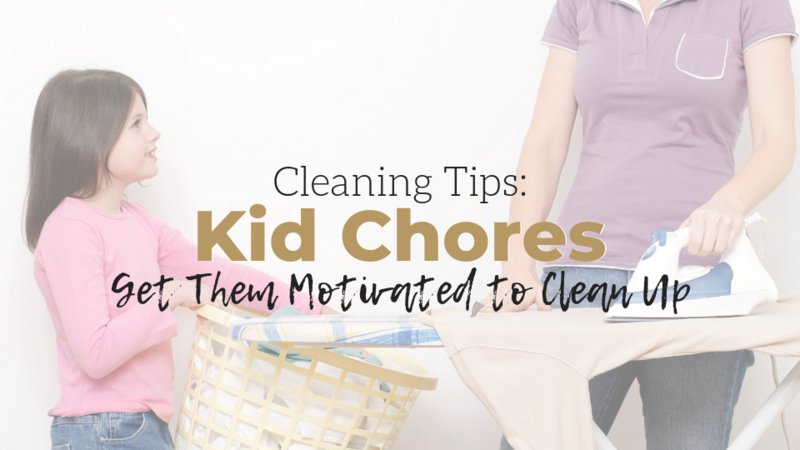 Keeping merchandise new and fresh is the responsibility of a buyer not word of mouth or the internet to show off what’s trending. 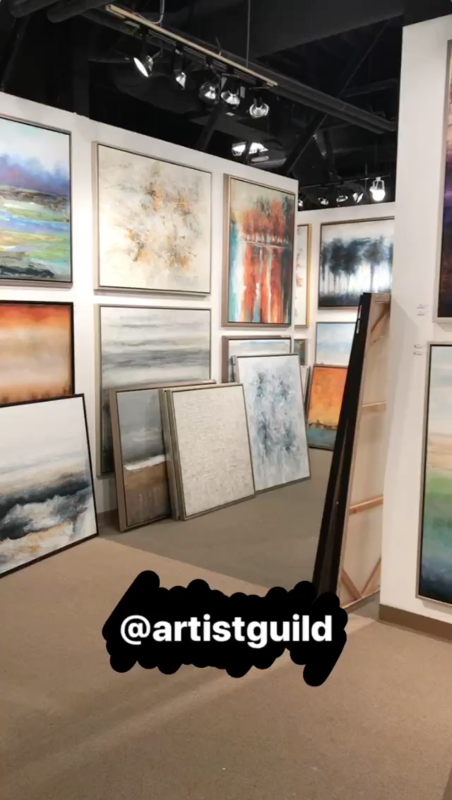 It can help a designer or stager build an inventory, build new vendor relationships and get inspired by all they see around them. Not to mention, you get to regroup with friends from around the globe. What This Means for a Consumer? 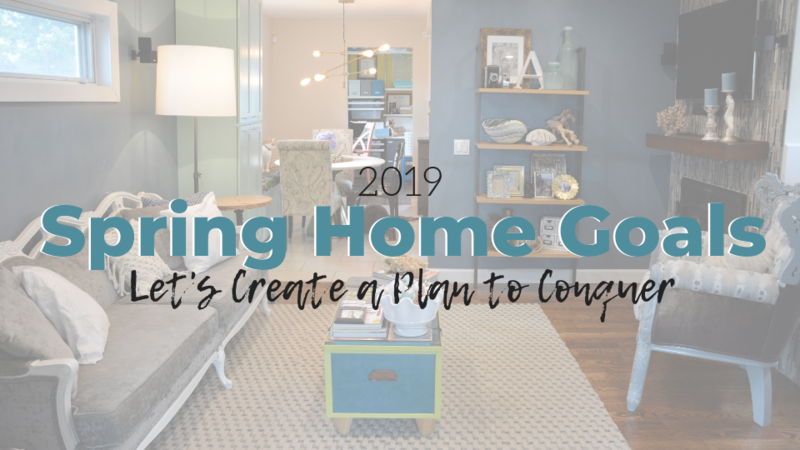 When your designer or stager heads to market this tells you they’re not only a serious business owner, but they value continued education and will extend this knowledge onto your property to provide you with the latest trends and best possible service on your project. 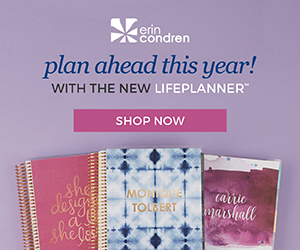 With a new year comes a new style– fresh patterns, timeless twists, revived materials and fancy finishes. 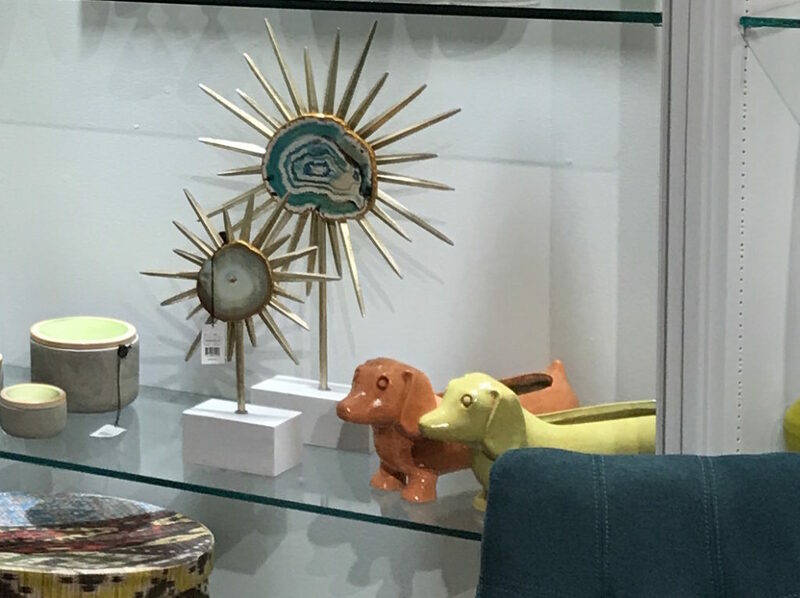 Here are seven trends we discovered touring the World Market Center this week and what you should watch for this year. 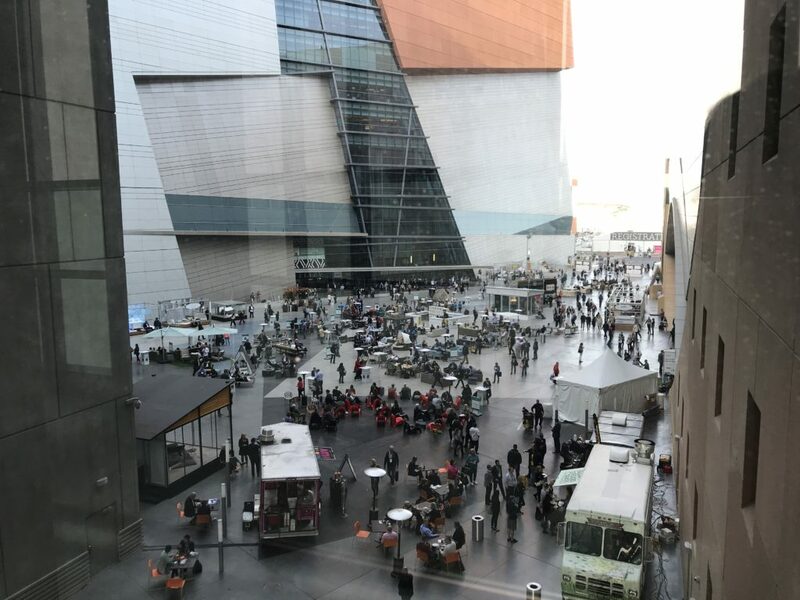 This year the home industry continues to move towards organic, natural materials like stone, concrete, quartz, woods and metal. 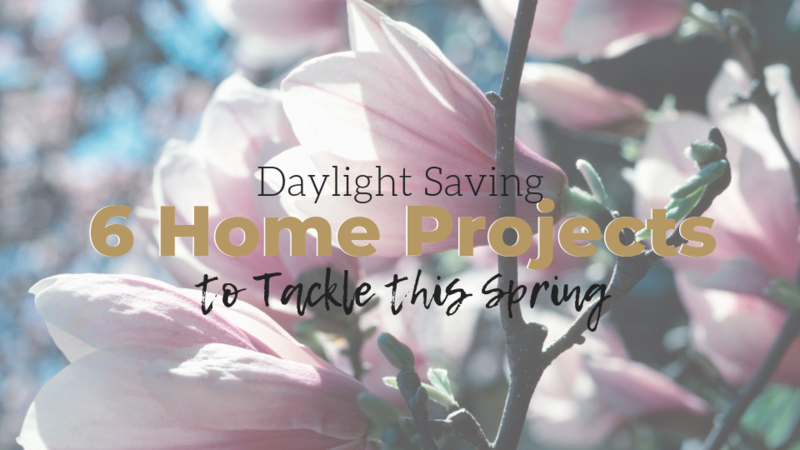 This creates a tranquil livable space that embraces Mother Nature, while representing a beautiful, timeless appeal. 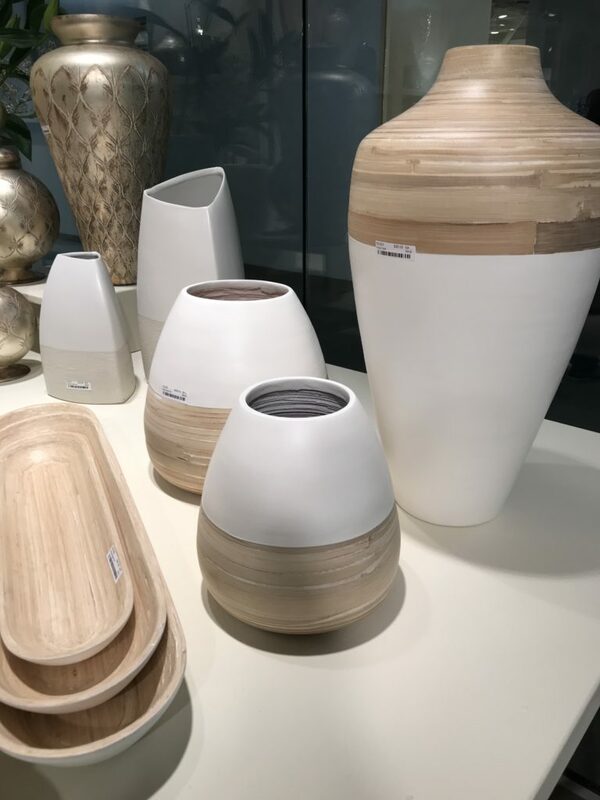 Like natural elements, artisan products are shifting our focus from the tech world of the early 2000’s to a more refined natural world. 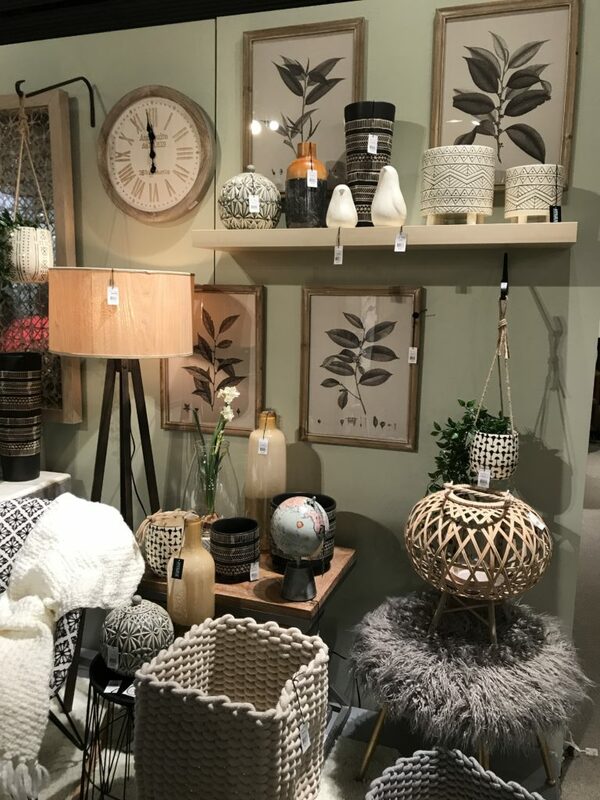 These products like the tribal inspired ceramics pictured below or this knotted palm wall art lined with linen above are handmade by a skilled tradesperson that makes each piece unique. 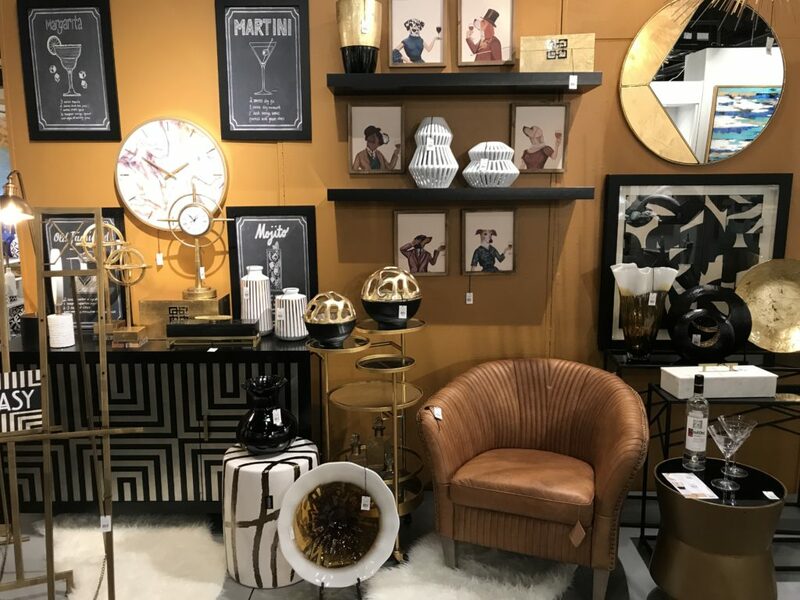 While navy blue and gold had it’s place at market, black and gold lined the shelves of different vendors. 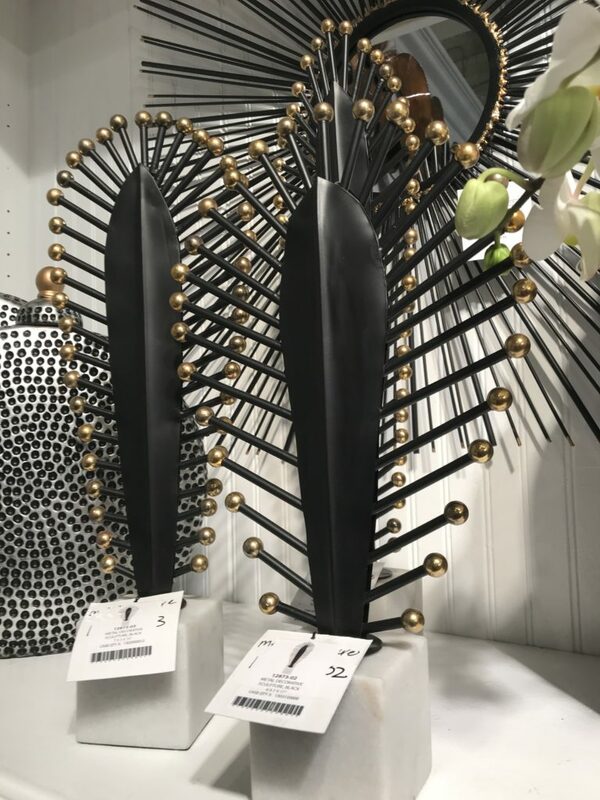 Product designers are embracing this duo by pairing black with warm metallic finish of gold, but brass works well too! 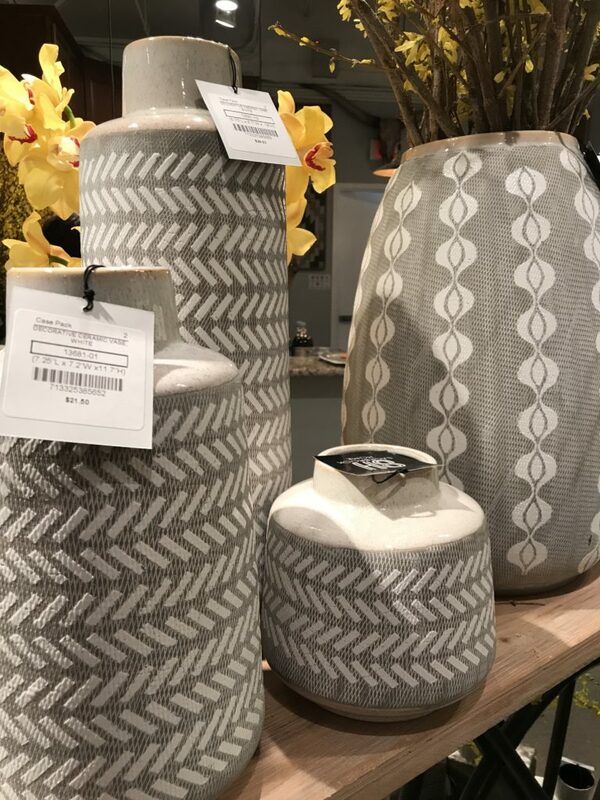 The combo done right can create inspire an elegant space by using these pieces in a living room, dining room and even a bedroom showing up as accents in furnishing, light fixtures and even accessories. Remember when brown was out? Well, it’s back in and slowly replacing the gray that’s taken over homes the past five years. 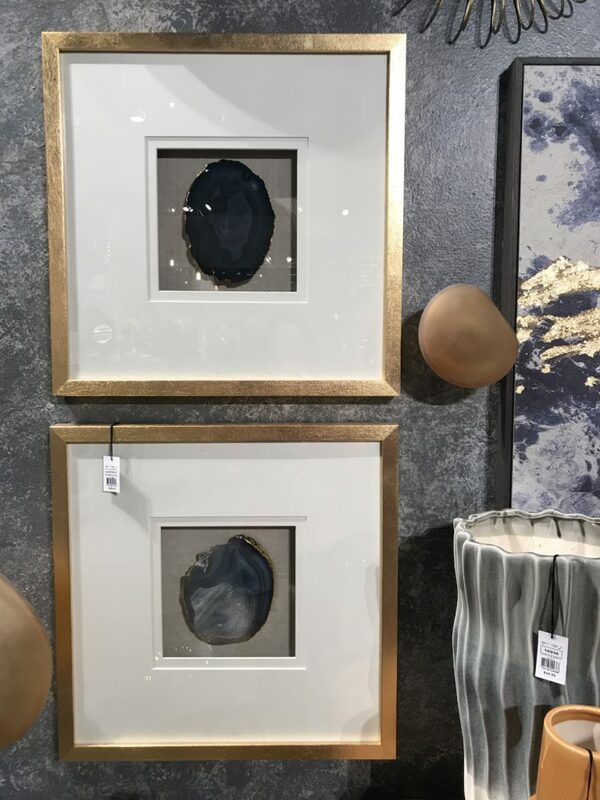 What appears to be especially trending is a cognac brown, especially leather with warm metals, like the gold pictured above. 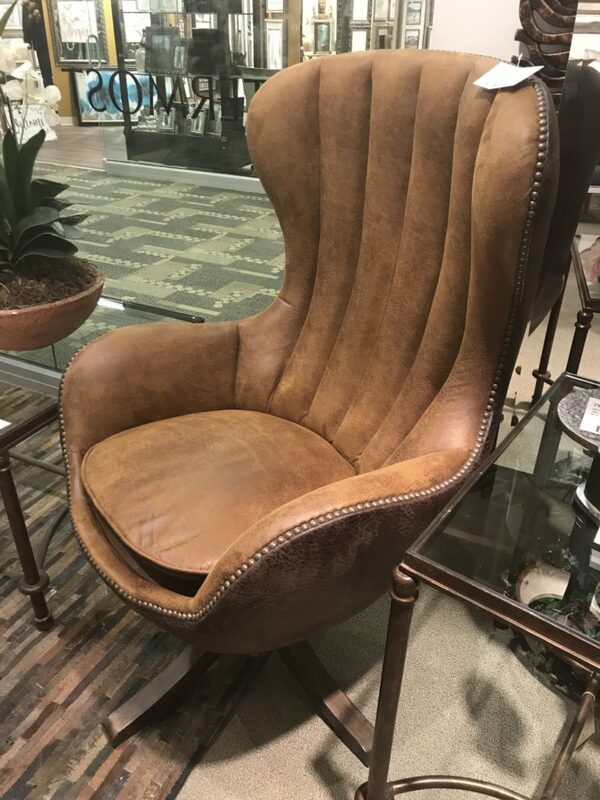 Or look at this mid-century classic the Linford Swivel Chair from Uttermost with a channel tufted back and individually hammered copper nail heads. This amber color works well with the warm tones of the copper to pretty much coordinates with just about every color out there, which makes it easy to add into any interior. 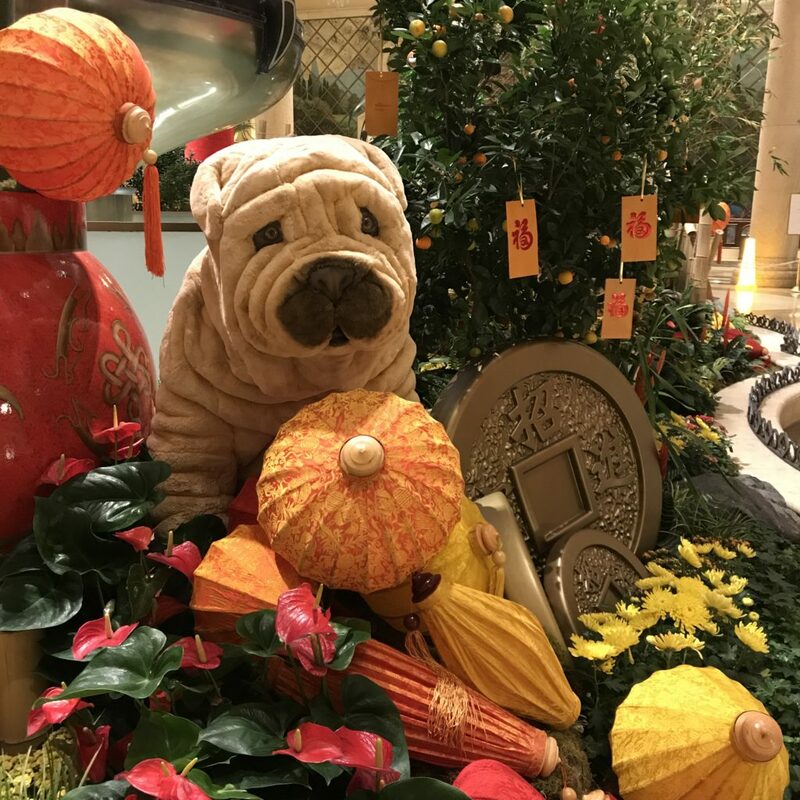 It’s the Year of the Dog, many of the top resorts on the strip were showing off their pooches in the lobby (See Wynn Las Vegas Above) and of course this four-legged companion can be found in playful vignettes across the Las Vegas Market. 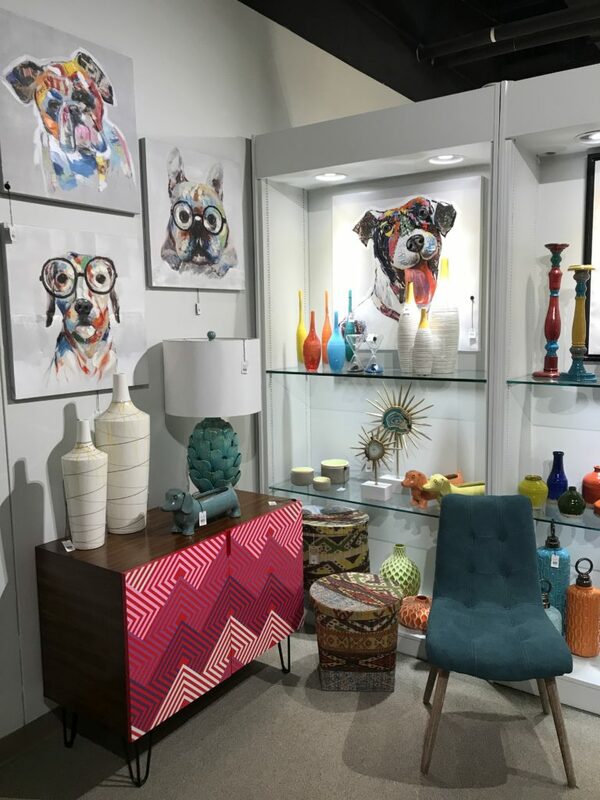 From tabletop to accessories and wall art these furry friends are dressed to impress in colorful arrangements or elegant spaces. 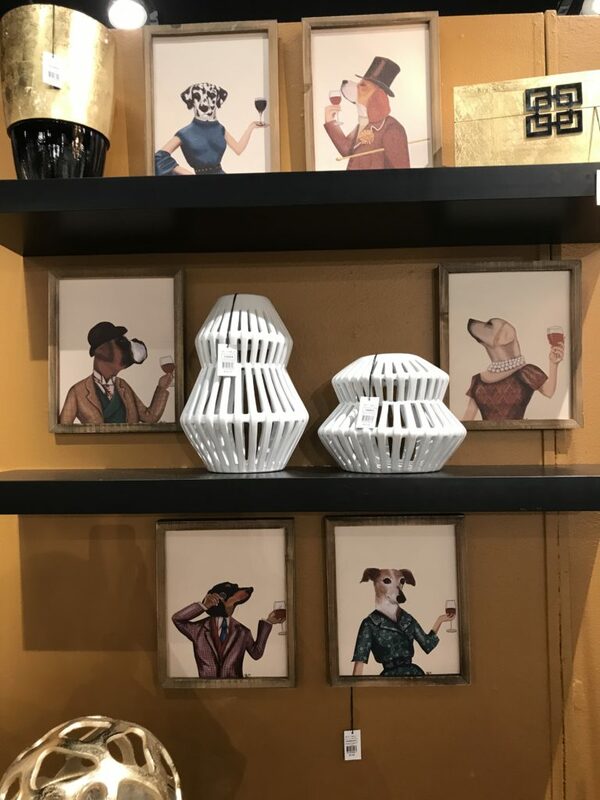 You’re sure to bring home a dog that matches your style this year! Agate is a rock consisting primarily of cryptocrystalline silica, chiefly chalcedony, alternating with microgranular quartz. It can be characterized by its fineness of grain and variety of color. 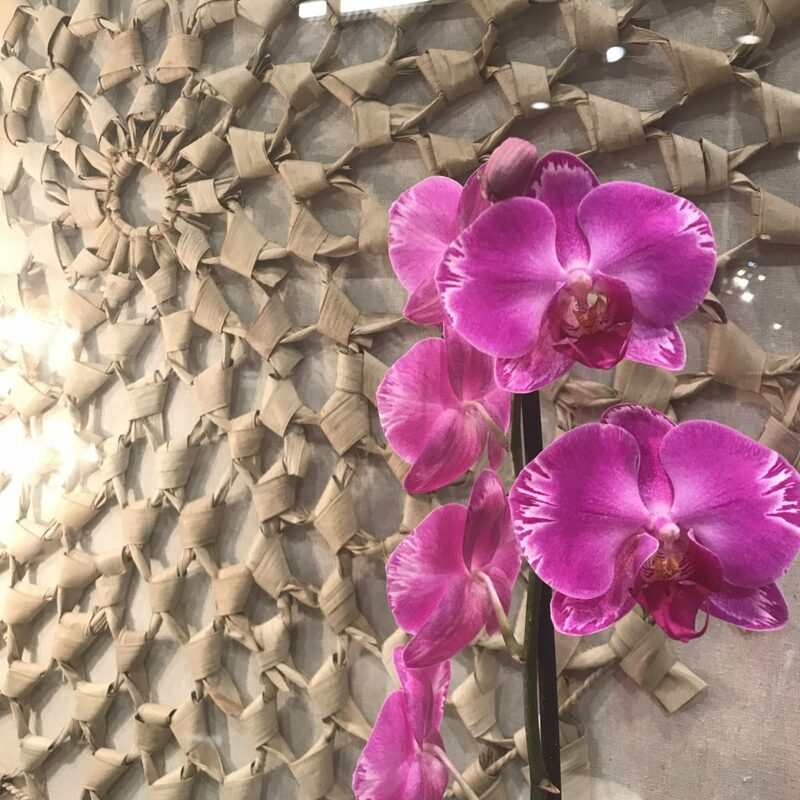 This year the rock is morphing into wallpaper, wall art and can be found on tabletops. Pastels were everywhere, especially blush! Some stagers are even starting to embrace this trend in pillows, artwork and do I dare say a blush velvet couch. Certain properties do require more than just neutrals, so add this hue where you see fit. Most pastels can be used as a neutral to offer another layer of interest to the whole room scheme. Blush when used right can add a sophisticated look with a playful vibe. 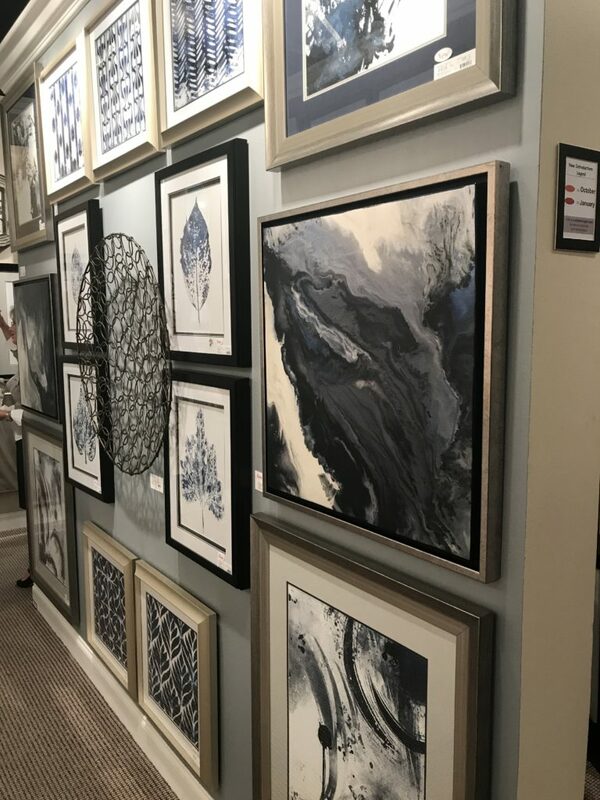 Want to see more home trends, check out what I found at High Point’s Fall Market 2017 these too will be playing role in our decor decisions for 2018.